Plastic Surgery App is an app to make changes to your face or body easily to make you look more beautiful, funny, and cute. Moreover it is the right pick for your if you are planning to go through a plastic surgery session, as by using this app you can easily demonstrate the after and before effect of been through plastic surgery. 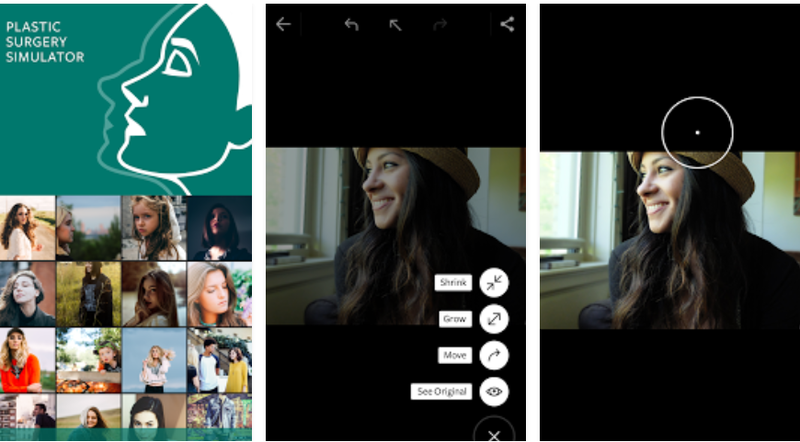 The app provides a variety of tools for the photo processing. There are some operations for, which you can expect the processing time to be longer. In use, you can attempt to zoom in or out the view, undo and redo the recent operation. Import photo from your device's gallery, the photo background color should be a single, well-lit shooting, the outline clearly visible. 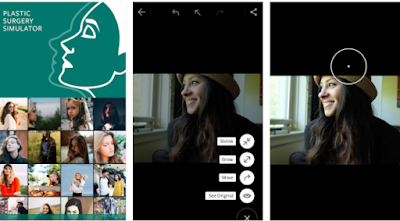 After import photo, you can scale, flip, rotate, and crop it. The irrelevant content of the photo should be, cut-out as much as possible, so that the photo size is as small as possible after import, this can increase the speed and performance of the program. This is one of the best plastic surgery photo editor. After you end up your implementations to your photos you can also compare the original and after effects photos. In addition, it also gives you an opportunity to share these results on your social media accounts or share these via email or WhatsApp. You can also save these photos to gallery to set them as beautiful background images for your device. This app is available for just $1.99 and it is functioning with all of Android devices. The direct download link to this amazing tool is present at the end of this helping review.